I’ve already written about AWS Key Management Service and AWS Security Best Practices as well as how to create your virtual Data Center into AWS Cloud with firewalls, load balancers, WAF, etc. I’ve also written about Web Application Vulnerabilities and Web Application Firewall (WAF). Therefore, I want to write today about AWS WAF & AWS Shield, which are useful to protect our Web Services and WebSockets. There are increasingly types of threats. They are increasingly sophisticated. They are increasingly difficult to detect with traditional security tools like network layer firewalls. Instead, we should deploy and install advanced security tools like SIEM and WAF to detect and protect our services of DDoS Attacks, application attacks and bad bots like HTTP floods attacks, Amplification DDoS Attacks, Social Engineering Attacks, application exploits, crawlers, Web Scraping Attacks, etc. 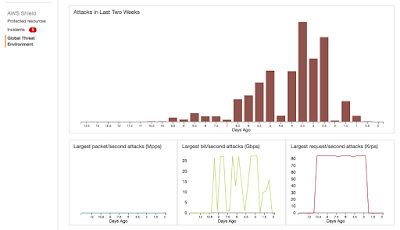 Most of them are advanced attacks difficult to detect by traditional firewalls. AWS Shield is useful if we’re hosting services into AWS Cloud and we want DDoS protection without infrastructure changes. In addition, AWS Shield also minimizes impact on application latency and we can customize protections for our applications as well. There are two types of AWS Shield into AWS Cloud. The Standard Protection which is available to all AWS customers at no additional cost for protecting our services from most common attacks like SYN/UDP floods, reflection attacks, etc. The Advanced Protection where we pay for additional protections, features and benefits like protecting against large DDoS attacks as well as cost protection to absorb DDoS scaling cost. Therefore, if we want DDoS protection for our applications, we should read, study and test AWS Shield to know which one suit into our requirements. 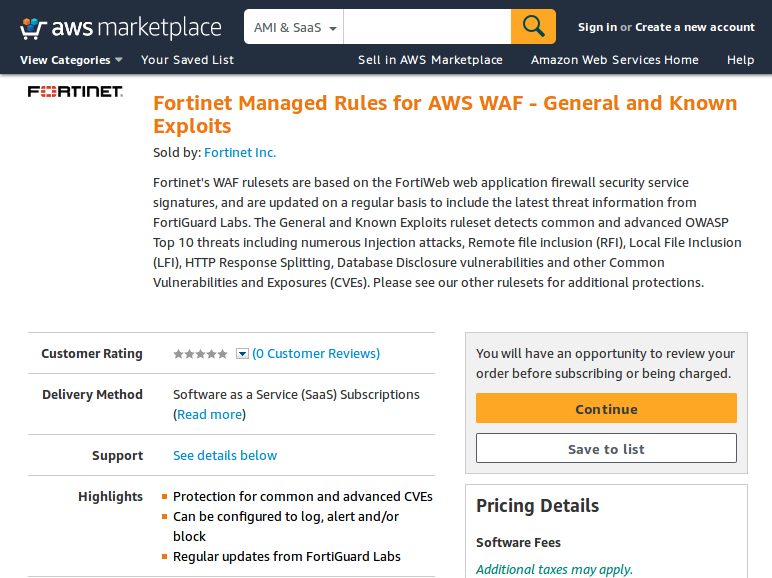 I’ve already written about Web Application Firewalls (WAF), and AWS WAF is one of them where we can filter web traffic with custom rules, we can block malicious requests and we can also monitor and tune our web applications. 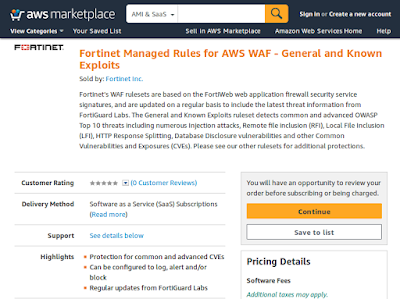 AWS WAF is able to block HTTP floods attacks, SQLi attacks, XSS attacks, scanners and probes, bots and scrapers, brute force attacks as well as it’s able to check against IP reputation lists, blacklists and whitelists. In addition, we can configure AWS WAF to import rulesets of commercial signatures to detect general and known exploits. We can configure AWS WAF easily and automatically thanks to AWS CloudFormation Templates. On the other hand, If we can also configure AWS WAF manually. Conditions like XSS, SQLi or IPs addresses are assigned to rules, then rules are applied to Web ACLs to protect our web applications. AWS WAF can protect web applications deployed with AWS CloudFront as well as deployed with AWS ELB. It’s important to highlight we’ll pay for rules and Web ACLs created into the AWS WAF. It’s up to you what you need and how much you can afford. AWS Shield with Advanced Protection along with AWS WAF with Managed Rules through AWS CloudFront is one of the best security solution but, maybe, it’s too expensive and too much protection for your web applications. This is the real cloud, we’ll pay as we go.